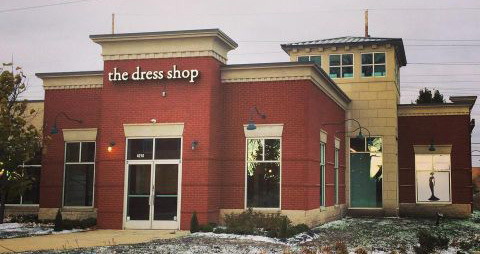 The Dress Shop is now open in a newly renovated space in the Savannah Center in Howell, at 4210 E. Grand River Ave., across from Aubree’s Pizzeria. The 5200-square-foot space features seven private fitting rooms, hundreds of gowns, a champagne bar, and more. People are invited to stop by anytime during the grand opening celebration to enjoy mimosas, cookies and a tour of the store. They can also enter to win fabulous prizes, including wine baskets, spa gift cards, dress shop gift cards, and more. To celebrate the grand opening, The Dress Shop is offering discounts on shoes, jewelry, bridesmaids gowns, and mothers gowns during the month of November. Plus, any bride purchasing a wedding gown in November will receive a 10 percent discount! – 4-9 p.m. Tuesday, Nov. 11, – Bridal Networking & Industry Night: Guests will enjoy an evening of networking, a delectable assortment of hors d’oeuvres provided by Crystal Gardens, beverages and prizes. This event is open to anyone who works in the bridal industry or a related field. – 3-8 p.m. Monday, Nov. 17 – Grand Opening Celebration: We’ll be kicking off our new location in style, with a ribbon cutting ceremony at 4 pm, beverages, a variety of culinary favorites from Crystal Gardens, prize drawings, goodie bags, giveaways, and more. This event is open to members of the community and to brides. The Dress Shop is a salon featuring everything a bride needs for wedding day attire: bridal gowns, shoes, undergarments, accessories, mothers gowns, bridesmaids gowns, and more. Brides will find personalized service and a comfortable atmosphere as they shop and find their dream gown. The Dress Shop features the top names in the bridal industry including Maggie Sottero, Mori Lee, David Tutera, Jasmine, Moonlight, Val Stefani, Belsoie, B2, Jade, Jasmine Bridesmaids, Mori Lee Bridesmaids, and Bill Levkoff. To learn more about The Dress Shop, visit www.tdsbridal.com, email info@tdsbridal.com or call 517.546.3600. 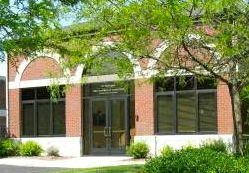 Store hours are: 11 a.m. to 4 p.m. Sundays; noon to 7 p.m. Mondays; 11 a.m. to 8 p.m. Tuesdays through Thursdays; 10 a.m. to 7 p.m. Fridays; and 10 a.m. to 6 p.m. Saturdays.